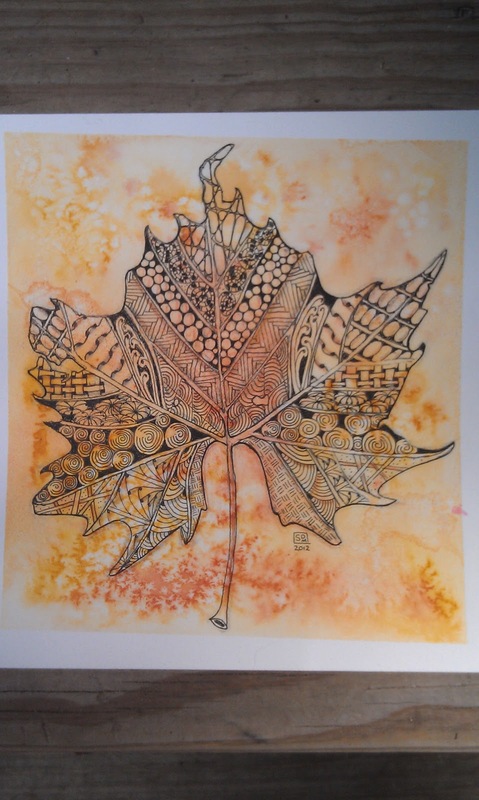 Everyone can create fall art this month with zentangle. A Beginners Workshop will teach you all you need to know to get started with zentangle and our project during Tangle TIme classes this month is to create these gorgeous leaves on a textured watercolor background. Bring a leaf from your favorite tree or use our templates. Ask about our group rate and special pricing for adults accompanying kids! For dates and times and more info click on the Class Info Tab at the top of this page or CLICK HERE! To contact me by phone or email CLICK HERE.